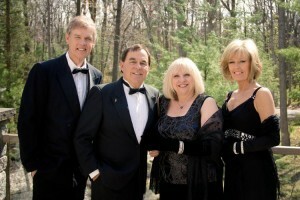 Jazz group AFTER FOUR feature a quartet of fabulous singers with rich harmonies. 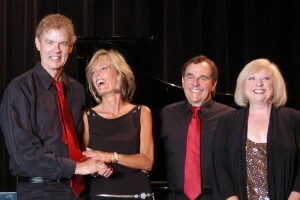 Awarded the Jack Richardson Best Jazz Group in 2005 and 2012, as well as, the prestigious Jack Richardson Fan Favourite in 2009, they perform a varied repertoire of old and new standards, often singing their own ‘made-in-Canada’ arrangements supported by a quartet of accomplished instrumentalists. 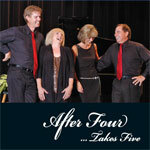 Appearing on the Takes Five CD from Jürgen Gothe’s CBC program Disc Drive, they have been heard on CBC radio programs from coast to coast, and continue to enjoy support from local and regional radio stations. 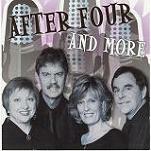 AFTER FOUR has worked with Canadian legends Peter Appleyard, Phil Nimmons, and Juno award-winning producer Kevin Doyle produced the second of their three albums. 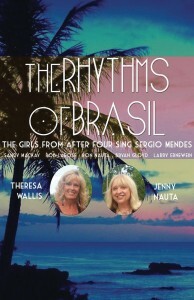 Jenny is a well-known, versatile singer with roots steeped in traditional jazz, Latin, pop and classical. She is a music teacher of voice, piano and theory, and a pianist, composer, arranger and performer. Over the last few years she has studied vocal jazz arranging and conducting with Hal Leonard guru Dr. Steve Zegree at a music camp at University of Western Michigan. 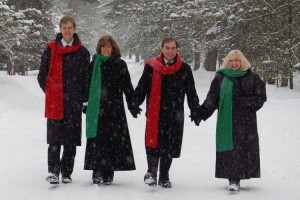 Jenny is a member, soloist and past president of the well-known Canadian choral group London Pro Musica Choir. She also sings in the new London Philharmonic Chorus with Orchestra London. Ron brings a rich musical background to this organization and is the chief in-group arranger/adapter for the instrumental charts and has just finished several vocal arrangements for the group. He studied recording/engineering at Fanshawe College and has worked with many musicians over the years as a vocalist and as a keyboard player - accomplished at piano, organ and synthesizer. He has performed extensively with dance and show bands Persuasion, Tanis, Fantasy, Venus, Shadow, and The Jennifer Sterling Quartet. Theresa has had extensive stage experience and starred in the leading role in a Sarnia production of Evita where she delighted audiences. 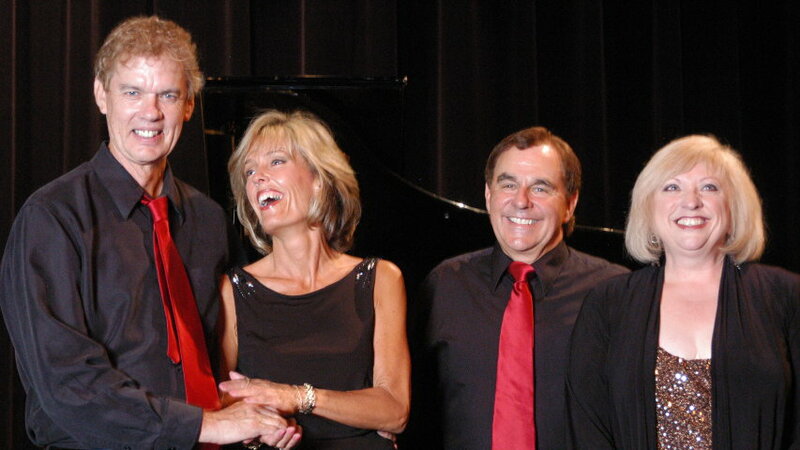 She is in demand as a vocal soloist for many local events and is also a fine pianist. She has performed on stage with Juno award winner Kevin Turcotte and has been a singer in the new London Philharmonic Chorus with Orchestra London when they have performed such works as Carmina Buranaa and most recently Elijah. You can find her performing around London from time to time. Dave is has been a high school music teacher in Forest for many years and has just taken early retirement. He has an abundance of performing and recording experience and was a longtime member of the popular dance group Hawthorne as a keyboard player and vocalist. He is highly regarded as a fine musician in our region and is often invited as a keyboard player for musical productions and special events - he recently played keys/synthesizer for the musical Chicago at the Imperial Theatre in Sarnia - a seven-night run. A longtime friend and musical associate - highly respected London and area drummer/ percussionist - played and recorded with many musicians, particularly in the jazz area in the 30 years. 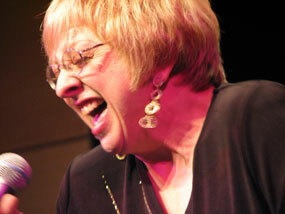 Sandy has made appearances at many jazz festivals over the years including Ottawa and Montreal. He is well-known as the music director for over 17 years of the 'Jazz for the People' series, now held in the Wolf Performance Hall, London (monthly form Sept - June). 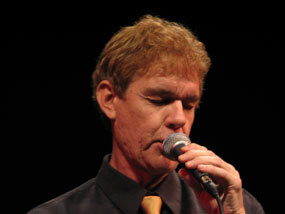 Also, he is a regular guest host of the jazz program Jazz Junction on Radio 106.9 fm - a big heart and a big talent! Our bassist extraordinaire, stand-up and electric, is a talented musician with instinctive natural ability and was a long-time member and composer in the well-known performing and recording group Truck. 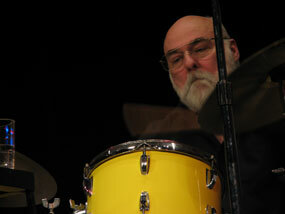 He is comfortable playing all styles of music, but has a definite calling towards jazz. 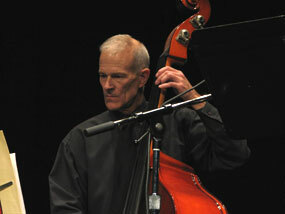 He is often called to sit in with many groups for performances and recording. 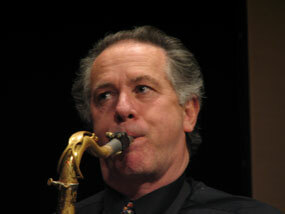 You can hear him regularly at Maggie's Jazz club playing with John Noubarian, a well-known London jazz pianist. Fred is a talented player (and collector) of guitars - from classical and jazz, to pop and New Age. He studied music at Berkley in Boston and brings a high level of performance to our stage. He has many connections in the field of music and sound in southwestern Ontario. He is an entrepreneur and the original owner of the fine music store Music Mart and associated company Media Sound. You will hear some great sounds from this London guitarist. 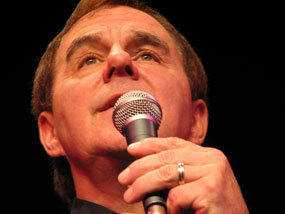 Catch his guest solo appearance on the latest Dave Dunlop CD, which you can catch on CBC radio. Ken Foster played as a long time member of the London-based group Hawthorne. 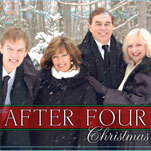 It was only a few years ago that they played the final New Years Eve Gala at Wonderland Gardens. Ken plays saxophone in restaurants and clubs for a variety of functions in the GTA, and has been a frequent guest artist in the London Jazz for the People concert series. 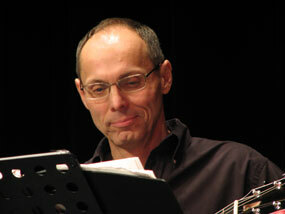 He has had a lengthy career as a high school music teacher in Mississauga . As well as being a member of After Four, he performs with the Toronto big band The Big Smoke and sings bass in the Toronto choral group, the Bell Arte Singers.